However, before you arrive in Kerala, you must get a hold of how to make your Kerala honeymoon a hassle-free and stress-free experience. In order to make that happen, you must take a look at the below guide which will help you to easily plan you Kerala honeymoon tour. It is very common in Indian marriage to be busy with the wedding rituals before, during and after marriage as well. Hence, it is your responsibility to check the dates carefully before settling on one for the honeymoon. Talk to your family if they want you to stay at home for few days in order to get over with additional rituals. Most importantly, do not forget to ask your spouse if they are comfortable with the dates you have selected for the honeymoon. 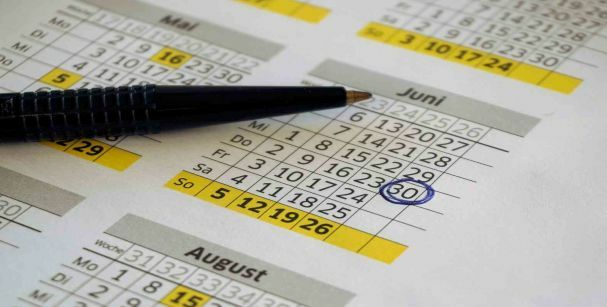 In addition, consult with your workplace if they are okay with the number of days you want to go on a leave. It is crucial to consider everything before you fix a date so that later, you do not find yourself in the middle of a disaster. It is obvious that you want to spend your roman getaway in Kerala, but Kerala has a ton of exquisite places to be in. Thus, it is the time for you to choose one of the best honeymoon destinations in Kerala. You might be aware or not that Kerala is a place where it rains for nearly one fourth of the year.So, if you love the rainy season a lot, then try to make the plan during the said season. 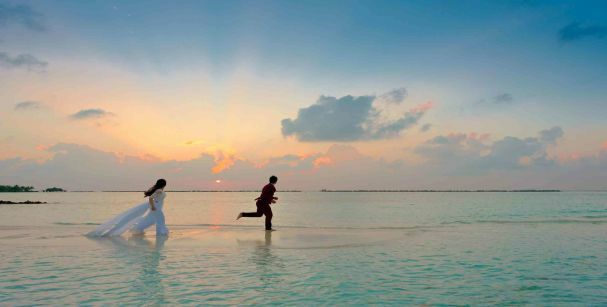 However, if you do not want to step into the puddles of water every time you take a step forward, discard the rainy season and choose another time period for honeymoon. Think of a place which will be suitable to not just you but your partner as well. Here are the best kinds of destinations to choose from for your honeymoon. Who does not like the beauty and peace of hill stations? Far away from the regular hullabaloo of the cities and the perfect place to relax and spend some quiet time with no one to disturb! Hill stations are one of the best places to spend time with your dear partner. With the picturesque sight of lush green hilly terrain, one can never get bored of hill stations. Let’s take a look at the most popular hill stations in Kerala. 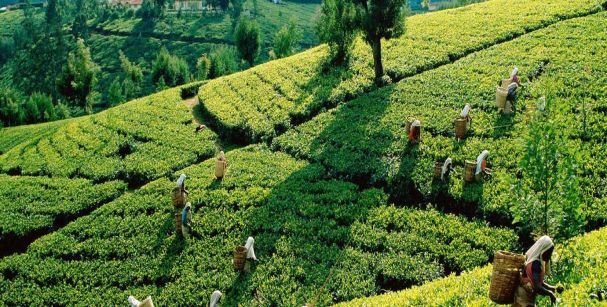 With the widespread plantations of spice and tea, the greenery of Munnaris unmatched.It is located 140 km away from the city of Cochin and other than the greenery,one can see various beautiful places after reaching Munnar. While on the journey towards Munnar, you will witness various magnificent waterfalls along with captivating landscapes. Situated 65km away from Kottayam, Vagamon is another best place to visit on your honeymoon. It is way lower than Munnar and consists of a lovely climate. 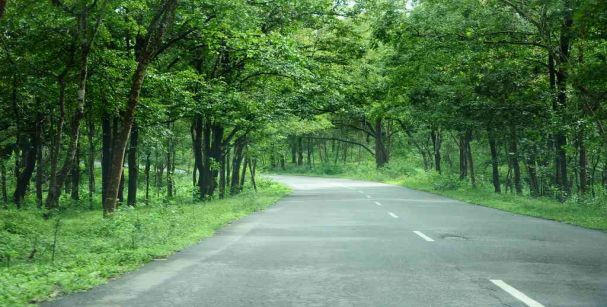 You will deeply enjoy the ride to Vagamon as you will be able to see beautiful pine trees and deep valleys all through your journey. Vythiri is located in the hilly regions of Wayanad with an extensive vegetation and wildlife. Once you reach for honeymoon Vythiri, you will encounter wonderful waterfalls, magnificent mountain brooks and thick tropical woodlands. Vythiri is popular for its tree houses and trails for trekking. This destination is amazing for the ones with the passion of trekking and if you and your spouse too love to go on a hike, then this is the one place to make your honeymoon special. 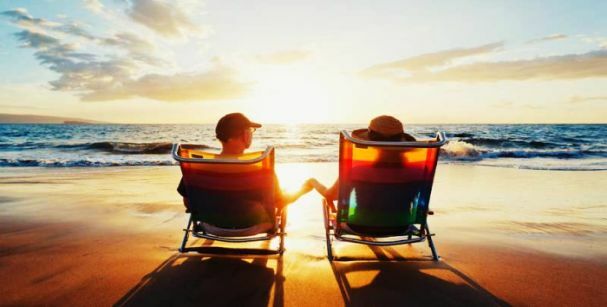 If you want to have a blissful experience of walking side by side with your spouse on the beautiful grains of sand, then, beach is where you should head to.Sitting next to your partner and watching the sun set down making the sky beautifully saffron in color is enough to make you feel at peace. 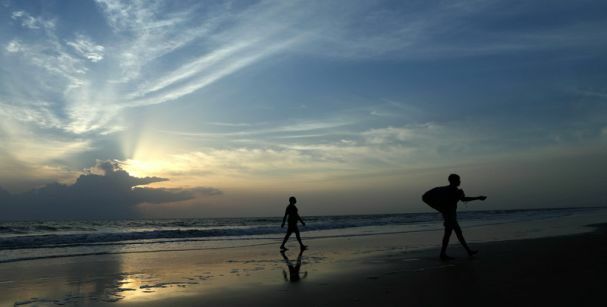 To experience such a feeling in Kerala, take a glance at the topmost beaches of Kerala. 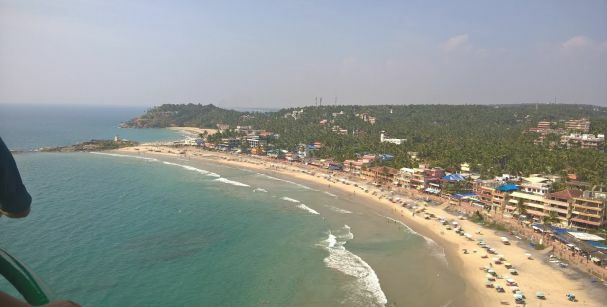 From 16 kms away from Trivandrum, Kovalam town is located by the Arabian Sea.Kovalam has three beaches to its name but the most renowned beach of all is the Lighthouse Beach.It is one of the best honeymoon places in Kerala if you like to serenely seat by the sea and plan your future with your adored partner. 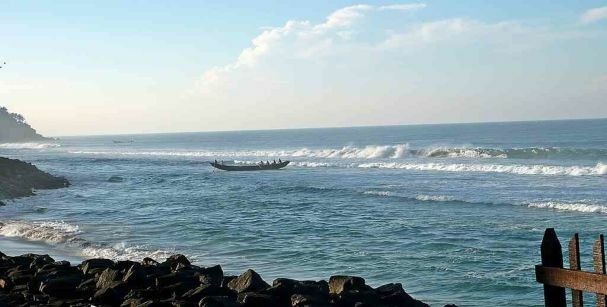 Also called Alappuzha, the Alleppey Beach is again a popular beach destination in Kerala to watch the scenic beauty of the sea and the tranquility the sea waves leaves behind. It is a well-established place to chill and spend some quality time with your spouse. Commonly, the climate of the beach is more hot and humid in summers, hence you might wish to come here during the rest of the seasons barring the summers. 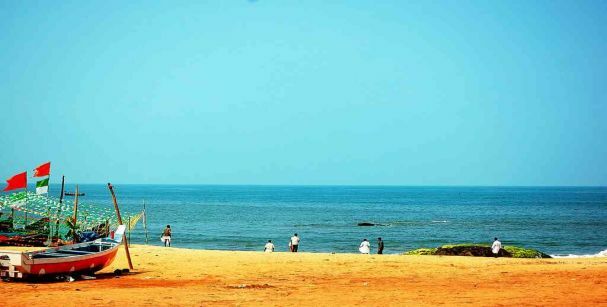 It is another small town situated by the Arabian Sea which has centuries old fort at the coastline to sightsee. With the lineup of innumerous casuarina and palm trees by the seashore, it gets easy for you to do other fun and chilling activities by sitting under the shade of these plush green trees. This beach is situated near the city of Trivandrum and the Varkala Beach is the sole beach in Kerala to have sea cliff by the Arabian Sea. Numerous spas can be seen by the sea cliffs and one can try their hand in those spas to relieve the unwanted stress and feel completely relaxed. In order to see the spectacular view of sea cliffs, then Varkala Beach is the one for you to visit during your honeymoon. Kerala is the place for having endless rivers and lakes and it provides a spectacular landscape to the viewers. 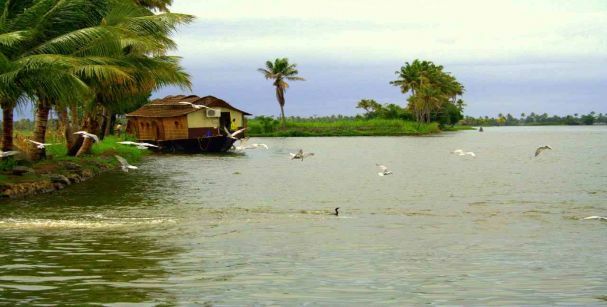 Due to the sublime and calming nature of water, backwaters are one of the best places to visit in Kerala for honeymoon. 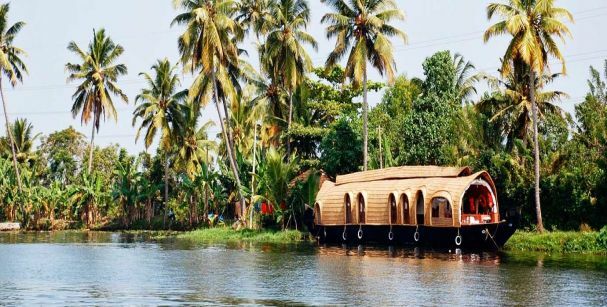 However, you must know that to see the real beauty of backwaters, you must hop on a houseboat cruise to fully enjoy the backwaters experience. Some of the renowned backwaters in Kerala are as follows. 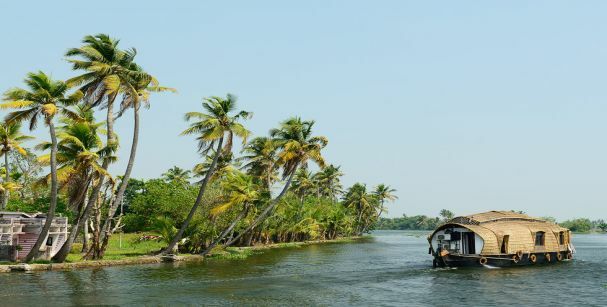 Popularly known as ‘Venice of the East’, Alleppey is regarded as the boating capital of Kerala. It is advised to take a cruise for the whole day so that you can experience the exquisiteness of the greenery by the waterside and the endless serenity of blue sky above the water. Across the wide stretch of Vembanad Lake, Kumarakom has few islands in its bag.This place is highly-regarded for its commendable facilities on backwater tourism. 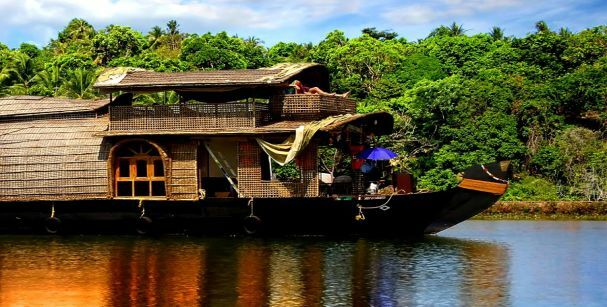 To boost the feeling of romance on your honeymoon, you can plan on renting a luxury houseboat and spend a day within the houseboat just like you would have spent in a hotel room. 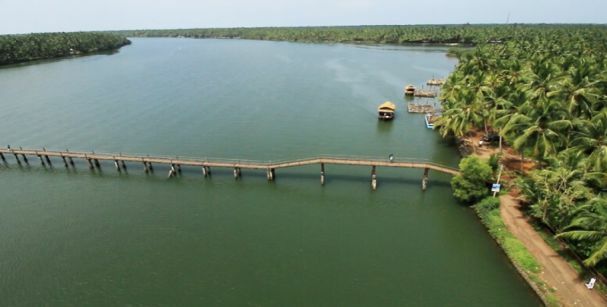 Other options also include staying in good resorts by the backwaters. However, if you rent a houseboat, you will be offered with delicious food and fun evening which will become an unforgettable moment for you and your dear partner. 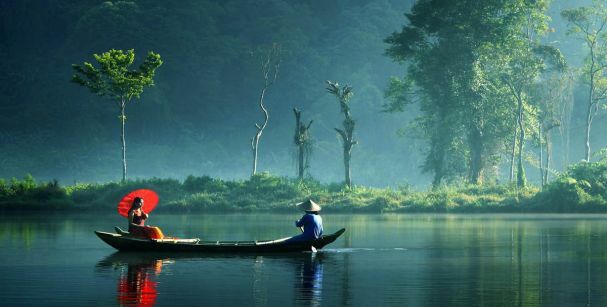 It is another perfect destination to visit with your spouse as you will get to see not just the rustling water but also the surface of water being full of lotus and lily flowers. Moreover, you will encounter beautiful ducks swimming besides your boat and the majestic egrets flying above your head. The backwater of Cochin is situated by the Sea which gives you the feeling of cruising on a sea. If you opt for a half-day cruise, your journey will include the places like Marine Drive, Cochin port, a historical fort and a palace as well. 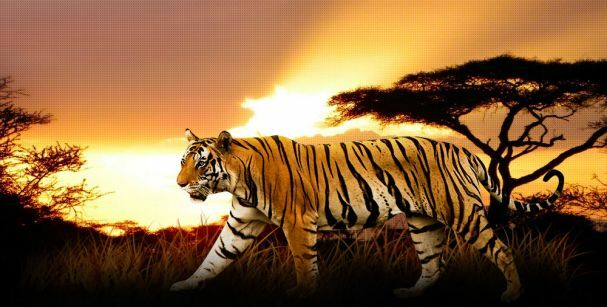 If you and your beloved spouse are a nature lover and do not take much interest in hill stations, beaches and backwaters, then wildlife is the best option for you. Here are some of the best options for you to stay on your honeymoon. 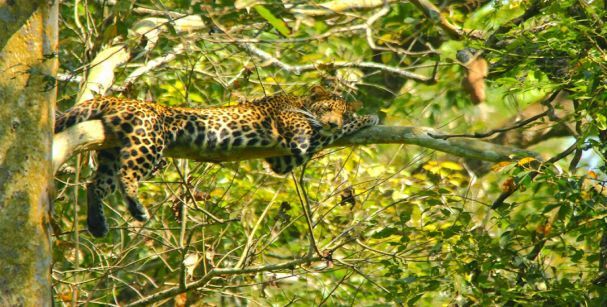 This place consists of the popular Periyar Wildlife Sanctuary where you can explore the true richness of flora and fauna. 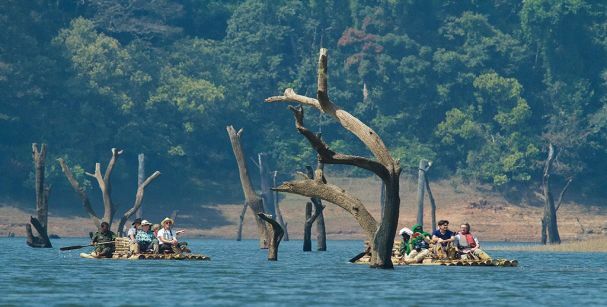 Engage in jeep safari or other exciting activities in Thekkady like trekking, bamboo rafting and many more. It is unquestionably one of the best places to visit in Kerala for honeymoon couples. With a spectacular landscape, Wayanad is another great place to see as it has a large wildlife sanctuary with exotic birds and animals.You will be amazed to see the radiance of this place and will completely enjoy being in here on your honeymoon. Wonder no more and get the best deals on Kerala Honeymoon Tour Packages with us. 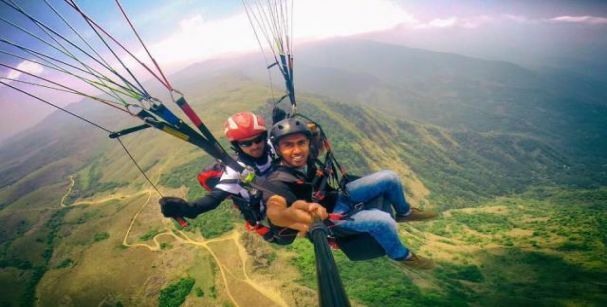 We will do our best to make certain that you choose one of the best Kerala tour Packages which not just gives you an affordable honeymoon but also a remarkable one.